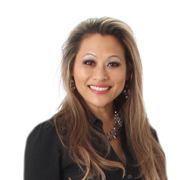 Editor's note: Today we debut Dr. Chiann Gibson’s Open Wide dental column. Dr. Gibson is the 2005 Mrs. USA. She recently passed on the crown during a July ceremony in Las Vegas. Watch for the column to be published the second and fourth Tuesdays of the month. 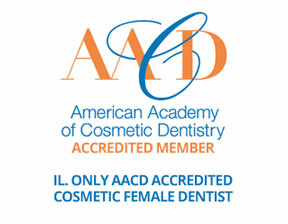 For 11 years I've practiced dentistry in both Massachusetts and Naperville. Dentistry is an amazing medical engineering process that affects the whole body. For years I've listened to every "slurred" dental question imaginable. I've actually become very proficient at understanding what your garbled words are saying. I'm often asked, "Dr. Gibson, how do I know if my dentist is performing work that really needs to be done?" What they are really asking is, "How do I know if my dentist is milking me?" This is a good question that is not so easy to answer. As in any profession, talent varies. 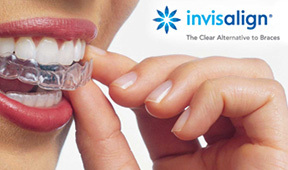 Is your dentist correctly diagnosing what dental work is necessary or dental work that is simply an expensive mistake? I hear you loud and clear. To go one step further, you might be wondering, "Would a dentist knowingly do unnecessary dental work on a patient solely for the dentist's personal financial gain?" Dentists are humans too and capable of making mistakes. In extreme cases, they may even lack proper ethics. So how can you limit these possibilities from happening to you? One answer is technology. With today's technology, many modern dental offices can show you what work is necessary before you even begin the procedure. For decades, dental offices used the old film X-rays, where dentists put a 1- by 1-inch X-ray up to a light on the wall to review. Though these X-rays still work fine for the doctor, they certainly don't help you see the problem. Today we now have digital X-rays. With digital X-rays, the dentist can immediately show the patient their X-rays enlarged on a plasma-screen TV, and the patient and doctor can review the patient's dental problems together. Another new piece of equipment that might ease your concern is the intra-oral camera. An intra-oral camera is about the size of a ballpoint pen. It can show live video pictures of the inside of the patient's mouth and, as with digital X-rays, you can review it on the plasma screen with your doctor to see the decayed or troubled area. It's helpful if your dentist has these latest technological advancements to help ease your concerns on whether you need the dental work prescribed. If your dentist does not have digital X-rays or an intra-oral camera, it certainly does not mean that they are not excellent dentists. And just because your dentist may have this type of equipment doesn't mean that he or she is an excellent dentist. In the end, you still have to stand on what you've always stood on in choosing your medical practitioner - trust. There is no way to be absolutely sure your dentist is milking you. But as you become more educated and interactive with your dentist, you'll greatly limit the odds of that ever happening. You want to reduce your dental expense? Brush and floss your teeth two to three times daily and watch those sweets. Next Open Wide topic: "Does it always have to hurt?"